Your wedding day is a wonderful occasion that makes every bride look absolutely beautiful. It’s a tremendous time for both the bride and groom, one you’ll remember fondly for the rest of your lives. When it comes to getting ready for that momentous day, there are so many elements to take into consideration. Your wedding dress is a very important element, some would even say, the most important element. And to go with that dress, you have to pick which one of the amazing bridal headpieces available you would wear. With the dazzling array of options such as tiaras, headbands, hair clips, fascinators, combs and veils available, this decision can seem very daunting! RELAX, take a deep breath!!! Selecting the right headpiece to complement your wedding dress is a matter of personal taste and also the kind of image you want to portray. Letting your personality shine is important. 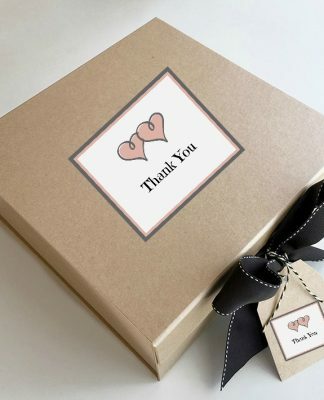 Think of your bridal headpiece like the pretty bow on top of a beautifully wrapped present. Allow the bridal headpieces to highlight your hairstyle and face while unifying your wedding attire. Time and again, brides are confused about which to choose first—the bridal headpiece or the bridal hairstyle. The answer to that is simple: you need to follow your gut instinct. Let your hairstyle inspire your choice of bridal hair accessories or let your hair accessories determine the hairstyle. Wedding tiaras, with their striking central peaks, appeal to the romantic, classic bride-to-be who wants to feel like a princess on her big day. These bridal headpieces, semicircular in shape and decorated with jewels and beads, are by far the most dramatic and are incredibly versatile, style-wise. They harmonize with a variety of bridal hairstyles, from long, flowing hair, to bridal updos, partial updos and short hairstyles, and everything from classic ball gowns to modern sheaths. Sparkle in the Silver-Plated Royal Bridal Tiara that features a simple beautiful floral rhinestone encrusted design, and will add an unmatched element of grace to your special day. 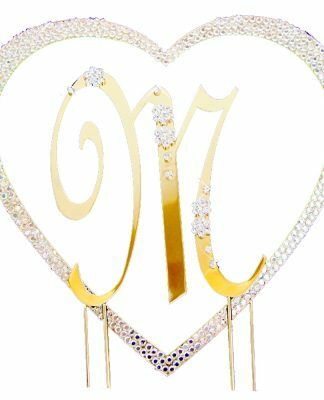 Wear a Bold Royal Couture Wedding Tiara, featuring sparkling rhinestones and a gold or silver-plated curling design, with the perfect sparkling flair and touch of a goddess. Turn up the glitz with the Swarovski & Freshwater Pearl Bridal Tiara, a sparkling tiara featuring freshwater pearls, rhinestones, clear Swarovski crystals, and seed beads woven into a stunning design. 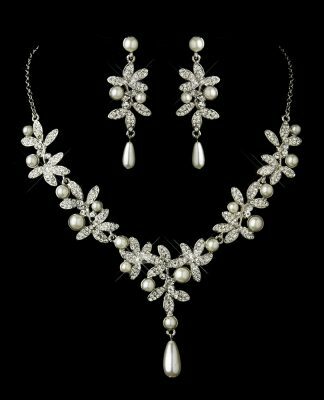 A fairy-tale dream, it’s the perfect accessory for the classic bride. Even though wedding headbands are somewhat new in the bridal world, these bridal headpieces have made quite an impact – and more and more brides are picking wedding headbands over more traditional hair accessories like tiaras or combs. As whimsical as they are romantic, wedding headbands are the perfect accent to less traditional wedding dresses like sheaths and vintage bridal gowns. What’s particularly awesome about these bridal headpieces is that they can be worn with nearly any hairstyle, from hair that’s worn long and loose to short hairstyles and updos. 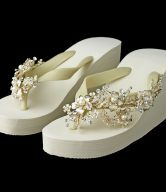 The Silver Clear Round Rhinestone Floral Bridal Headbands, inspired by Kim Kardashian’s wedding headpiece, are wrap bridal headbands with sparkling silver-plated chains that bevel single strands of encrusted rhinestones. These bridal headpieces will have you looking like a gorgeous vintage goddess on your special day and will go with any style of dress. If you wanna make a stunning statement on your big day, the Vintage Couture Side-Accented Crystal Bridal Headband Headpiece is a classic crystal bridal headband face-framer featuring a dazzling assortment of round and marquise rhinestones in a floral and leaves design arrangement. This unique piece coordinates best with white, off-white and light ivory dresses. Be truly glamorous with the Royal Silver Clear Rhinestone Bridal Tiara featuring an antique silver frame covered with glittering clear multi-cut rhinestones. This gorgeous headpiece is sure to become a family heirloom and is the perfect accessory for any modern or classic bride! A bride who wants her hairstyle and not her bridal hair accessories to feature will often choose wedding hair pins for the glitz they add to her overall ensemble. These bridal headpieces can enhance your bridal hairstyle without overwhelming the dress you’ve so longingly waited to wear or the wedding jewelry that you’ve painstakingly chosen just for this special day. Bridal combs and wedding hair clips & barrettes are trendier than ever now that there is more variety in the world of bridal hairstyles. Brides can now choose a classic updo, a partial updo, or a loose, flowing style, and the number of brides choosing these alternatives to the classic tiara or the more modern headband as a way of highlighting their hairstyle by giving it a beautiful focal point is growing. Add some radiance to your wedding ensemble and adorn your hair with the Antique Bridal Hair Comb. This stunning, vintage-inspired wedding comb encrusted with sparkling, clear marquise crystals and dazzling round-cut rhinestones. 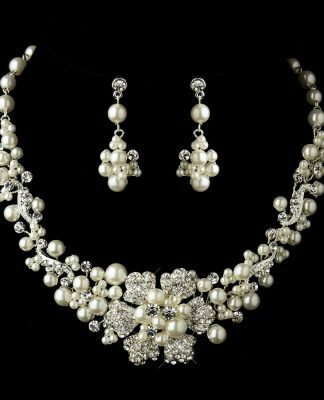 These pieces will look great on any classic or vintage inspired bride and will coordinate perfectly with a white or ivory gown. Secure your your bridal hairstyle with the fabulous Silver Swarovski Clear Crystal & Rhinestone Barrette, featuring Swarovski crystals and clear cut rhinestones that shimmer elegantly. Affix two Orchid Floral Hair Clip & Pins, or a single pin, for a look perfect for a destination getaway or Spring wedding ceremony. Whether you’re tucking this piece behind your ear for a classic look, into the side of an up-do hairstyle, or even in the back, everyone is going to fall in love with these enchanting bridal headpieces. Historically, bridal veil headpieces created a sense of mystery and fantasy as the bride floated down the aisle, face hidden under the veil. The bride didn’t unveil herself until her father presented her to the groom. As a modern bride, you have numerous options when it comes to veils and it’s agreeable to keep your face unveiled. Veils come in various lengths – shoulder, elbow, fingertip, waltz and cathedral lengths, and in two tiers – single tier and double tier. Then there’s the bird cage veils. Complete your wedding day ensemble with the intricate Floral Double Layer Embroidered Edge Veil. This veil features a double tier of fingertip and waltz lengths with a floral edge of embroidery. The blusher that can be worn down for an added dose of drama during the wedding ceremony, or pushed back for more volume and to frame the bride’s face. Bridal bird cage veils are a favorite choice for a modern bride looking for a sophisticated look with a touch of vintage flair. 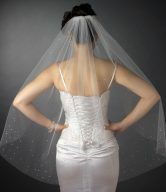 Part of the acclaim and charm behind these cage veils is that they work with so many styles of wedding dresses. If for example, you have a beautiful dress with heavy lace or beading, you may not want a longer veil because a longer, traditional veil will cover up the gorgeous detailing. A cage veil won’t. You can also pair a cage veil with a feather fascinator for a stylishly glamorous look, loaded with panache! Simply extraordinary, the Jeweled Couture Feather Fascinator Veil has an attached birdcage veil and features a floral design lace fabric with beautiful rhinestones, a jeweled center accent, and a spray of feathers. It gives you just a little bit of coverage along with a whole lot of WOW! Wanna Know The Key To Picking The Perfect Bridal Headpieces? 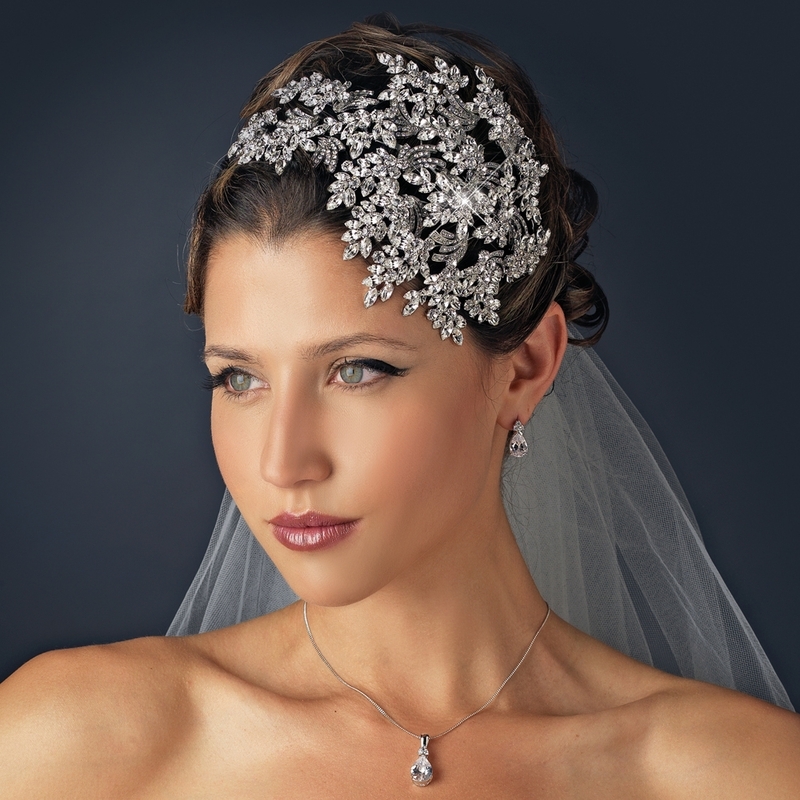 The key to picking the right bridal headpieces is to match your wedding dress to your bridal headpieces. As long as you match the details of your wedding dress to your headpiece, it will give you a more unified and polished presence. Pair an embellished pearl-accented headpiece to your pearl-studded wedding gown. A Swarovski crystal tiara goes with your crystal-laced wedding dress. Coordinate a lace bridal veil headpiece with the lace trim on your wedding dress. The journey leading up to your wedding is filled with many crucial decisions. Reduce your anxiety and stress by remembering that the perfect bridal headpieces are ones that make you happy, complement your wedding dress and result in a dazzling and sensationally accessorized hairstyle on your wedding day. 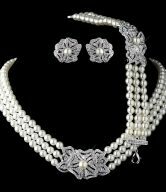 I am looking for the ” Royal Silver Clear Rhinestone Bridal Tiara ” but could not find it on your website. Please let me know how I can buy it.